3 Reasons Orlando is the Best Snowbird Destination – Destination: Central Florida! Named as one of the best cities to retire in US News & World Report in 2018, Orlando has much to offer snowbirds looking to escape the cold winters of the northeast. Booking an affordable long-term vacation home gives guests the flexibility to live other places, change home styles season to season, and have the freedom to travel at their leisure. Here are the top three reasons to escape blizzard season and spend the winter in sunny Orlando at the Balmoral Resort. With on-site dining at Balmoral Bar and Grille, access to the resort pool, and a community fitness center, everything you need is within walking distance. Our community center also offers activities for your family and grandchildren, including an arcade, mini golf, and a volleyball course. Plus, Balmoral is a pet-friendly resort, so your four-legged companion can join in the fun. From Disney World to Universal Studios, Orlando is by far the theme park capital of the world. Balmoral’s proximity to these iconic amusement parks is convenient for your family and grandchildren. Both are within short drives of the resort and offer plenty to do for all ages. Year-round warm weather is the perfect opportunity to up your golf game. Whether you’re a seasoned pro, or just picking up a new recreational hobby, Balmoral Resort is close to some of the best golf courses in central Florida. Just five minutes from the resort is Southern Dunes Golf Club, an award winning course that spans 7,200 yards across a dramatic landscape of hills and sand traps — proving a challenge to those hitting for par. Grenelefe Golf & Tennis Resort features two distinct courses with varying difficulty levels and topography, as well as a tennis courses and other resort amenities. 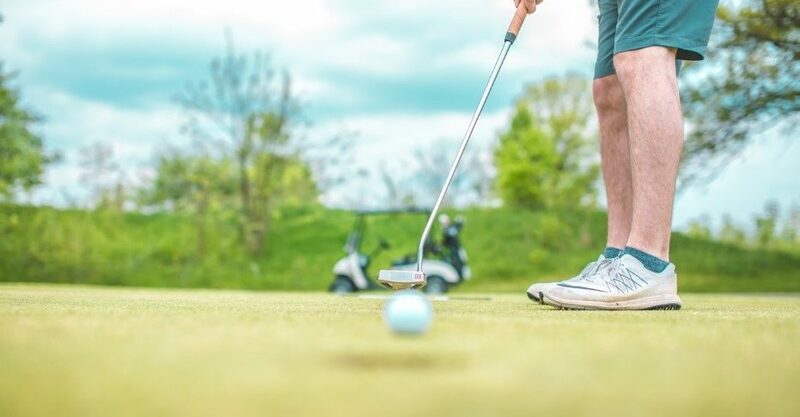 Ridgewood Lakes Golf Club in nearby Davenport is one of the more age and skill level friendly courses in the area, offering golf clinics and lessons for those just starting out, and more challenging courses for the more experienced golfer. With luxury vacation homes at every price point, there’s a home for you at Balmoral Resort.